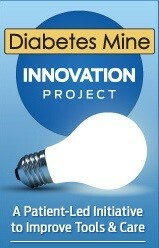 As you may know, a core of the DiabetesMine Innovation Project is conducting annual surveys where we ask patients to speak up on what’s working, what’s not and why. And then – the important part! – we package those patient sentiments and feed them directly back to the Powers-That-Be: all the top pharma and device companies working in diabetes, FDA regulators, mHealth designers, leading clinicians and other influential experts. PLEASE HELP DiabetesMine & Beyond Type 1 gather patient input this year by spreading the word and encouraging PWDs to take this survey. You can read more about this effort on the Beyond Type 1 website here.